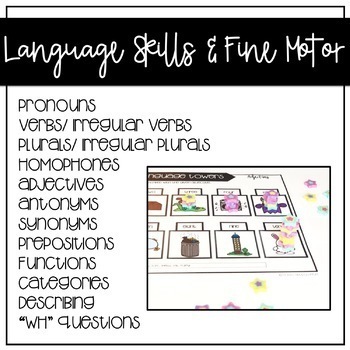 This is a no prep, print and go (doesn't require laminating) activity that covers receptive and expressive language goals, articulation, plus an open ended template! 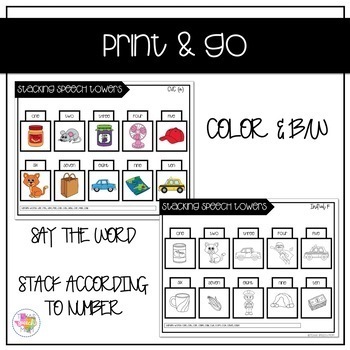 The student says the targeted word/sentence then stacks an item according to the number! 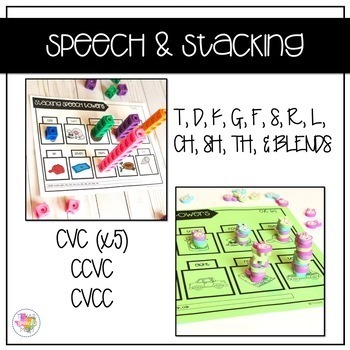 Examples of stacking items include: cubes, mini erasers from Target Dollar Spot, coins, cereal, tokens, etc! Articulation goals include initial and final positions for: t, d, k, g, f, r (and final vocalic r), l, sh, ch, th, r blends (initial), l blends (initial), s blends (initial). 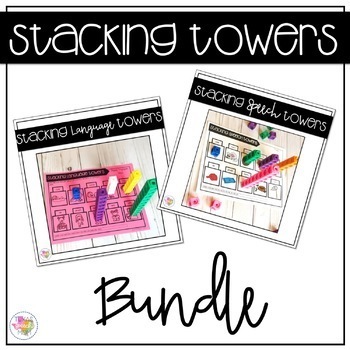 This Bundle contains the Language and Speech (Articulation) stacking towers resources. If you have already purchased them, they will already be included in this packet. CHECK OUT SOME OTHER NO-PREP ACTIVITIES!